CAS, Author at Community Association Services, Inc. In August 2017 Preston Communities contracted with Addresses of Distinction, an Atlanta based company to replace 254 street signs. 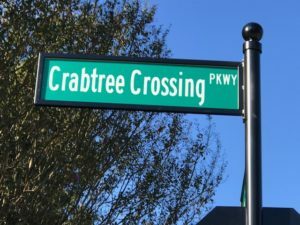 This project included 54+ styles/combinations of signs such as speed limit, Pedestrian Crossing, Street Blades, Stop/Yield, Bike Route, neighborhood watch. Preston Communities worked closely with both the DOT, Town of Cary & Town of Morrisville to for the agreement & approval of both Townships on this project. While it took over a year to put all the pieces in play, receive approvals, and choose a company, the entire project was installed in just two weeks. 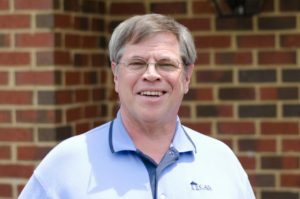 Vice President of CAS, Ed Bedford has been named as a Hometown Hero by WCHL Chapelboro. Ed was given the award for his many years of service to Extraordinary Ventures, a non-profit in Chapel Hill. Ed was a founding board member and continues to serve on the board of directors. Extraordinary Ventures seeks to create employment opportunities for young adults with autism and other developmental disabilities. In addition to his work with Extraordinary Ventures, the recognition also noted that Ed also serves as Scoutmaster for Boy Scout Troop 820 in Chapel Hill. He has held that position since 2001. The Council of Community Association Professionals (CCAP) has named two CAS employees in their national top 10 lists. Mystre’ Van Horn was selected as one of the top 10 on-site community managers in the United States and Dan Quartermane was named as one of the top 10 portfolio managers in the nation. Mystre’ and Dan are now in the running to be 2013 National On-Site Community Manager of the Year and 2013 National Portfolio Manager of the Year. The winners will be selected by voting and announced at the 2013 CAI Annual Conference & Exhibition being held Thursday, April 18 to Saturday, April 20 in San Diego. The National Association of Insurance Commissioners (NAIC) indicate that almost half of all renters and homeowners are not taking the threat of floods, tornadoes, wildfires and hurricanes seriously. They have indicated that around 48% of all homeowners and renters do not even have an inventory of their possessions within the home. 44% of those with an inventory keep the inventory within their home where it will be destroyed right along with the possessions. Fairfield Harbour hosted about 200 people at their day of remembrance on Veterans Day, including N.C. Rep. Norm Sanderson. Read the full story at the Sun Journal website. On Thanksgiving, Fairfield Harbour residents invited Marines from nearby Camp Lejeune to join them for Thanksgiving dinner. About 58 Marines who weren’t able to travel home for the holiday found a family with whom to celebrate the day. See more on WNCT. View the slides from an informative presentation from Ward and Smith, P.A. at the CAI-NC Annual Conference on October 19, 2012. Fairfield Harbour has announced that the community was recently named Community of the Year by the Community Association Institute’s North Carolina Chapter (CAI-NC). The award recognition took place at CAI-NC’s annual conference. CAI-NC’s Community of the Year award recognizes communities of excellence across North Carolina as well as the efforts made by its board members, community members and residents. In addition, the Community of the Year award evaluates the overall role of community management companies, which are heavily involved in the guidance and direction of community associations. Additionally, Mystre’ Van Horn, the community manager of Fairfield Harbour, was named a Manager of Distinction. CAS serves as the professional management company for Fairfield Harbour. We are pleased to announce that CAS, Inc. began managing Seven Lakes Landowners on the first of this month. Seven Lakes is a premier residential community nestled among the stately pines and rolling terrain of North Carolina’s Sandhills region. Initially conceived in the mid-1970s as a summer home and resort area, prospective buyers quickly recognized its appeal as a year-round residence. This 1,400 lot gated community is a well-balanced mix of working parents and active retirees. We are excited to serve its residents as well as work with their staff: Ray Sohl (manager), Stephanie Cook (office manager), Bianca Pratt (receptionist), Alice McPheeters (office) and Brenda Massimo (office). The local tennis community of Moore County helped raise over $2,500 for the local Special Olympics program through the Serving Aces Tennis Tournament. The tournament was organized and hosted by Julie Criscoe; Club Manager/Director of Tennis at Legacy Lakes Racquet & Fitness Club and main sponsors CAS and Forest City Land Development. During the weekend of August over 60 players took part in the doubles and mixed doubles tournament. According to Special Olympics Moore County Tennis Coach Scott Boucher, “fundraisers like this are needed to allow our program to be able to offer sports year round to athletes in Moore County. Being that we are 100% privately funded we rely on events like this to pay for not only the tennis program but also other sports like bowling and athletics. I thought it was a great idea when Julie first presented the idea to me. Legacy Lakes has been the host club for our program from the first day they opened. I could not ask for a better partnership than the one I have with Julie and Legacy Lakes.” Click here to read more in The Pilot.